Egypt will receive natural gas from Israel under the $15 billion deal by the middle of this year as the pipeline connecting the two countries faced unexpected issues that drew back the start-up by several months, two sources familiar with the matter told Bloomberg. The two sources who asked not to be named said that the companies involved in the deal have found out that the pipeline would require more work than expected to bring it online during the due diligence. The sources highlighted that the overall condition of the pipeline is good, but Israel’s Delek Drilling LP, the US-based Noble Energy Inc, and Egyptian East Gas Co have discovered that some components were missing or faulty. The alliance will import some spare parts as repairs would take longer time than expected, they said. The Egyptian company expected trial quantities of Israeli gas to begin flowing in March if the pipeline was found to be in good condition, Bloomberg reported. The three companies are in talks over building a new sub-sea gas pipeline that would carry additional volumes from Israel’s offshore fields to Egypt’s existing liquefied natural gas plants. It is worth noting that a spokeswoman for the companies have declined to comment, while officials at East Gas did not immediately respond to requests for comment. Egypt will initially receive gas flows from Israel’s Tamar field and then imports from nearby Leviathan once it comes online by the end of 2019. Last week, Egyptian petroleum minister Tarek El-Molla said at the CERAWeek conference in Houston that the most populous Arab country was expected to receive its first flows of Israeli gas by the middle of this year. El-Molla has not mentioned any further details regarding the situation. Gas exports from Israel to Egypt will be carried out under a $15 billion natural gas export deal signed between Israel’s Delek Group and Egypt’s Dolphinus Holdings in February 2018. 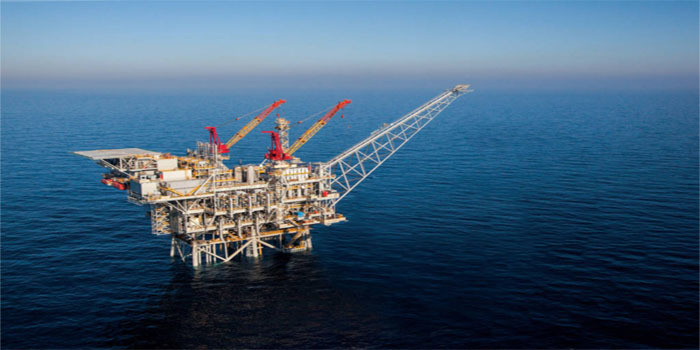 In February 2018, the Israeli energy conglomerate Delek Group said that the partners in Israel’s Tamar and Leviathan offshore gas fields signed 10-year agreements to export around 64 billion cubic metres of gas to the Egyptian private company. Egyptian East Gas Co (EMG), the US’ Noble Energy Inc, and Delek signed last September a deal to buy a 39% stake in Eastern Mediterranean Gas Co at a total value of $518 million.